Brendan Rodgers has taken time to discuss Joe Gomez’s incredible rise this season. The 21-year-old missed Liverpool’s 3-0 victory over Watford yesterday due to a slight ankle knock, but it’s not expected to keep him out of the midweek tie with PSG, thankfully – which is very lucky as we’ll desperately need his pace against apparently fit superstar duo Kylian Mbappe and Neymar. Gomez arrived at Liverpool in 2015 from Charlton, signed by Jurgen Klopp’s predecessor Brendan Rodgers. And the Northern Irishman has lauded Gomez, a player he originally fielded at left-back, while saluting his partnership with Virgil van Dijk as well. “Joe’s a top talent. When we brought him to Liverpool we played him in a couple of pre-season games at left-back and he was unbelievable,” Brendan said, reported in the Echo. “I couldn’t not play him in the team and his first league game he was man of the match. “But his best position is at centre-back. “It’s brilliant to see him in there with Virgil, they’re terrific together. They’re both quick and can deal with the ball. At just 21, Gomez is well on his way to becoming one of the best central defenders in the league. In fact, the only one who’s surpassed him this term has been van Dijk! 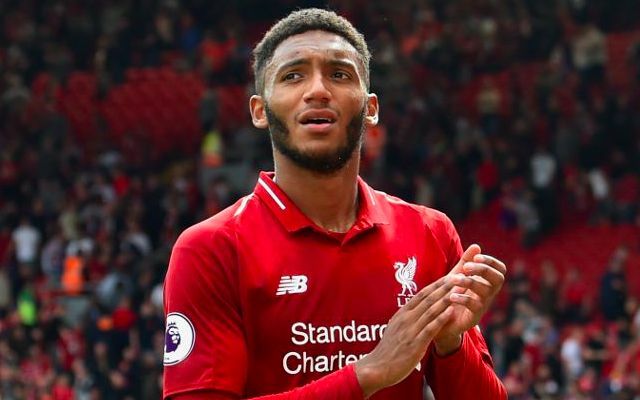 Dejan Lovren is a fantastic third choice to have behind them, but in big games, it has to be Gomez alongside the Dutch giant. To think, around this time last year, Liverpool were ridiculed as one of the worst defensive sides in the top flight, with disasters happening every week at the back.